Truman Capote was born on this day in 1924. Breakfast at Tiffany’s was our choice this month at Pieces for Places Book Club, held at the wonderful furniture store in Barmouth where we get to try out comfortable armchairs with wine, cheese and a good chat about a book. Many of us had the impression Breakfast at Tiffany’s was a romantic comedy, due no doubt to memories of the Blake Edward’s film version of the novella, and yearning for the Henry Mancini song Moon River and Audrey Hepburn’s very stylised depiction of Holly Golightly. None of us, it turned out, had read the actual book before. Marilyn Munro was Capote’s first choice for Holly, and would have made the film a different entity. Although bitingly funny, Breakfast at Tiffany’s is not a romantic comedy, more social comment, but it is delightful for its prose and humour. Capote has called Holly an American geisha rather than a socialite. The difference? The word geisha conveys skilled artist or artisan in Japanese with connotations of entertainer perhaps as singer or musician requiring long training. Holly is more of a debutant, living only for parties and the hope of a rich husband, for more than one season. It is said that geisha inhabit a separate reality which they call ‘the flower and willow world’. Courtesans were the flower and geisha the willow because of their subtlety, strength, and grace. It seems Holly Golightly does inhabit a separate reality, two perhaps. She escapes poverty in a Southern community where being a child bride is the norm for girls and reinvents herself in New York, living precariously by entertaining rich men. Holly’s reality involves a level of detachment from it. Capote portrays an innocent abroad, she does not convince as a hard hearted schemer, except when she initially abandons her cat. Her realities catch up with her first when Doc Golightly her husband comes to find her and when her weekly visits to Sing Sing to carry messages for a notorious (fictional) criminal, who goes by the wonderful name Sally Tomato are exposed and she is threatened with a prison sentence. Holly’s comeuppance? banishment from her native land, living on in the memories of those who knew her, immortalised in an African carving. For a girl who described her occupation as travelling this is as much wish fulfilment as breakfast at Tiffany’s. Antoine de Sainte-Exupéry died on this day in 1944 aged 44. His much loved, often quoted books are his legacy. The covenant of living together is a concept discussed by Nadine Gordimer in her book The House Gun. It implies the give and take of any relationship. Gordimer includes the government in her covenant and asks if the state should share responsibility for what happens to its citizens. The state in question is post-apartheid South Africa. Decades of violence and the casual keeping and use of guns have a role in the story. As does the decision to ban capital punishment. It is a complicated tale of love and betrayal, but she asks if the state too hasn’t betrayed its own citizens. Perhaps we should be asking questions of our government. Where does the responsibility lie after the fire in London? With the dismantling or destruction of the NHS? With the extrication from Europe with complete disregard for the impact on anyone? Child poverty? Often, in the view from my window, sea and sky merge. Obviously different elements and entities and yet there on the horizon is an intimation that one disappears into the other. Sometimes they merely reflect each other like a blend of fact and fiction. I have been reading Any Human Heart. Had I bought the book rather than a download I might have thought twice. It’s quite a tome and I usually go for short. 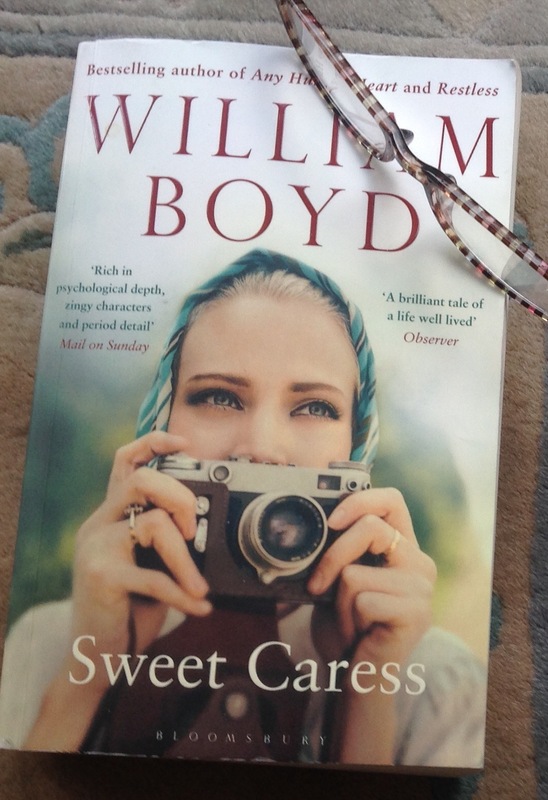 But I’m having a William Boyd fest at the moment and the note stating five hours left to read, that would normally send a frisson, ‘have I five hours left to give?’ I ignore happily. It’s a really enjoyable read. Logan, the (anti?) hero, witnesses and participates in the major events of the twentieth century in a grand sweep, meeting novelists, artists, even the Duke and Duchess of Windsor. I like the improbability of the names and the pretence. A blur of real and unreal that can constitute a good novel. Reflecting on the improbability of life and fiction, William Boyd and me both, a few choice quotes worth pondering. ‘(A) credo of two hates and three loves: hatred of injustice, hatred of privilege, love of life, love of humanity, love of beauty.